Polixis is a best-in-class RegTech and advisory firm, headquartered in Geneva, Switzerland. We are proud to have served some of the world’s most demanding companies since 2012, ranging from Tier 1 Global Banks to more localised companies in need of Risk & Compliance solutions. The terms ‘automation’ and ‘disruption’ are not merely marketing concepts for us – this approach has helped us break the dominance of the well-established, traditional vendors in the high-end finance sector. Data Independence: we are among a handful of players globally that own and operate their own data, which enhances algorithms. This makes us more competitive in terms of cost, technology and long-term independence. Compliance Advisory Expertise: we deliver world-class human research to complement machine intelligence in cases when machine reasoning is not enough. Strong on Emerging Markets and Languages: we specialise in data and analysis for hard to access markets. At Polixis, we are committed to complying with GDPR. Transparency, proportionality and security are fundamental values of our Company. We are presently a team of 40, growing at the rate of 1 employee per month. The Risk & Compliance team in Switzerland and London is composed of graduates of Sorbonne, Oxford, King’s College, ETH Zurich and Geneva Graduate Institute (HEI). Our Risk & Compliance expert team have previously worked in Private Banking at HSBC, UBS, BNP Paribas, UBP, Credit Suisse and the European Union. Gagik is the CEO of Polixis. He is a former banker and a leading Swiss EM compliance expert. Prior to founding Polixis, Gagik was in charge of MENA Compliance at BNP Paribas Private Banking and the CIS region at HSBC Private Banking Group’s Due Diligence Office for Eastern Europe. Gagik has also been advisor to United Nations bodies on Russia & CIS regulation for the last 14 years. 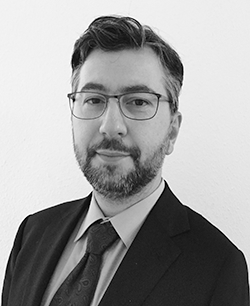 He is an author of numerous publications on AML/financial crime topics within Swiss universities and leading Swiss and Russian newspapers and journals. Gagik holds a Master’s degree in International Affairs from Geneva’s Graduate Institute as well as BA in Political Science from Sorbonne University (Panthéon-Sorbonne-1). Jean-Philippe is the Chief Financial Officer at Polixis. 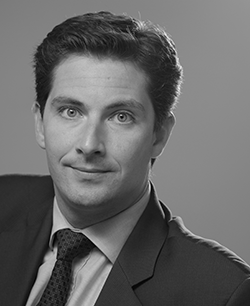 He has 16 years’ experience in corporate and investment banking in New York, Paris and Geneva, working in structured finance teams at BNP Paribas, Société Générale and Crédit Agricole. 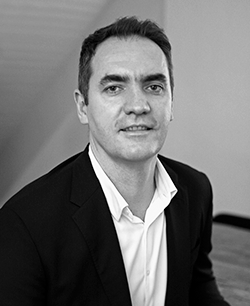 Before joining Polixis, Jean-Philippe served as Senior Investment Director at IPF Partners, an investment fund based in Geneva funding young start-up companies. Jean-Philippe graduated in Business and Administration from Paris-Dauphine University and holds a Masters in Banking and Finance from the University of Lyon. Vahan is the Chief Technology Officer at Polixis. He has a PhD in Computer Science & Applied Maths and a passion for applying his hard science skills to real live business solutions. 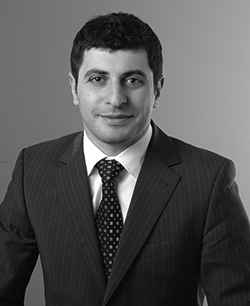 Prior to joining Polixis, Vahan was Senior Consultant at Ernst & Young’s Geneva office. In the past he has been Chief Technology Officer and Project Lead for several IT companies specialising in data analytics, natural language processing and semantics. Alex is the Head of Research at Polixis. He has led over 400 due diligence investigations, covering predominantly Russia and the CIS, as well as MENA, Europe and East Asia. His expertise lies in mapping High Net Worth Individuals, helping clients identify red flags in the areas of sanctions and other regulatory issues, political exposure and other sources of reputational risk. Before joining Polixis, Alex served as Eurasia Analyst at Aegis Advisory and the Risk Advisory Group in London. He has an MSc in Comparative Politics from the London School of Economics. He is a fluent English, Russian and Ukrainian speaker. On 13 March, Polixis was a panellist at the Graduate Institute Geneva Connexion Career Days 2019. Polixis covered the scope of its activities and presented the existing opportunities for interns, junior and mid-career professionals. Polixis has partnered with the Union of Information Technology Enterprises (UITE) in Armenia to support the establishment of Armath engineering club-laboratories within the public school system of Armenia. Polixis was included in the Q3 map of Swiss RegTech start-ups, specializing in the area of AML / KYC.